Here’s another positive review from one of our very lovely clients Anna Marie! 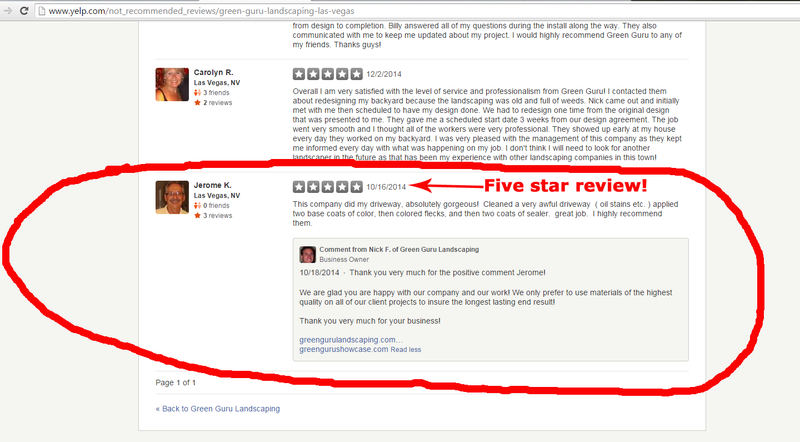 Thank you very much for your business Anna Marie we greatly appreciate it! 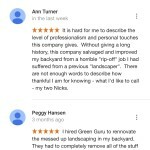 She wrote this review about Green Guru Landscaping on the Home Advisor website where you can validate her review about us. Thanks for reading! 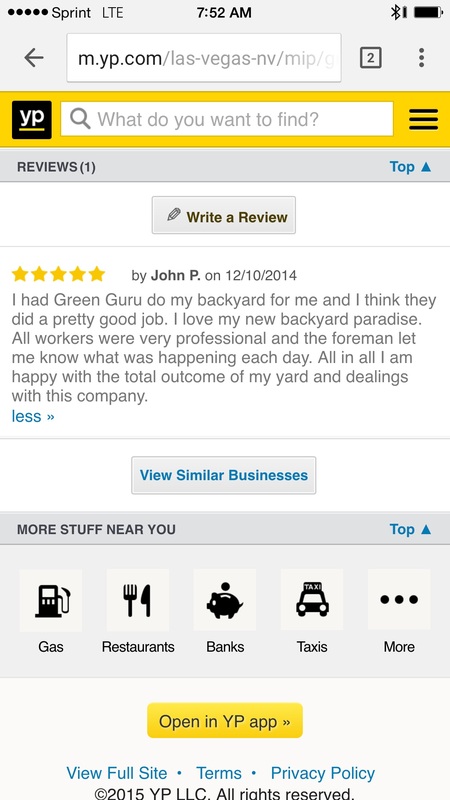 Here’s a new review fro Green Guru Landscaping from our great client Kyle W. on the Home Advisor website! Thank you very much for your business and your review Kyle!. 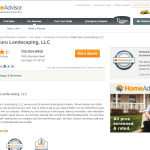 Here’s a link to the Home Advisor website for the Green Guru Landscaping reviews. 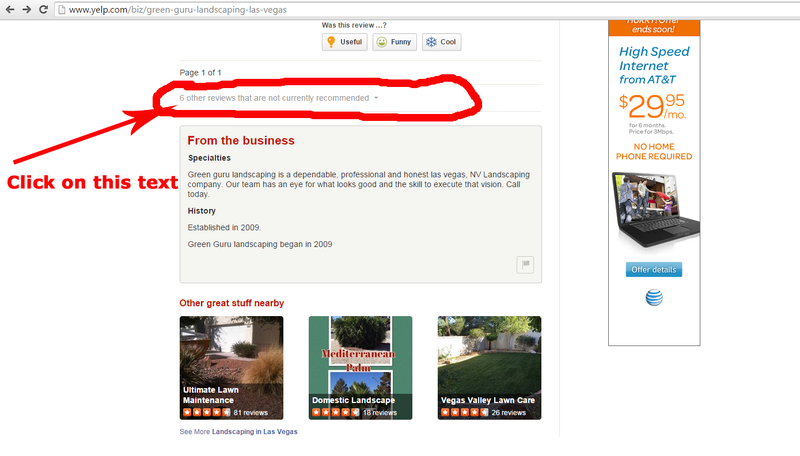 Below is a screenshot, right off of the Yelp website, that shows one of our REAL clients leaving us a five star review but Yelp, for some reason, does not think that it is trustworthy so they bury the review at the bottom of our business page to make it hard to find plus they remove the five star rating. 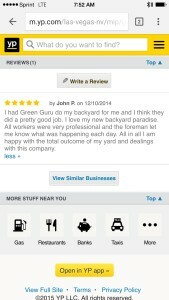 We helped Jerome here with his driveway getting it cleaned up for him and putting a coating on it for him and he loved it so he decided to write us this review which was totally un-solicited. As a business owner dealing with Yelp what I can tell you from my experience is that in the past we were paying Yelp to advertise our website on their website. 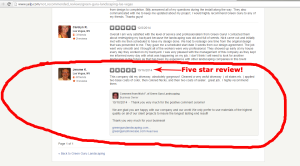 When we stopped paying them and cancelled our advertising with them, that’s when they started to allow the negative reviews stick to the top of our business page on their website and thus making it difficult to find all of the positive reviews. I find that extremely ironic. After researching this issue with Yelp I came to find out that many other businesses have an almost identical experience with Yelp and in some cases these business have taken Yelp to court over this issue. Other businesses claim that it is extortion. One thing I can tell you is that it is defamation. You’re a perfectly thinking intelligent human being so I let you decide on the legitimacy of Yelps business practices. All of our staff at Green Guru Landscaping strive to satisfy all of our clients and fulfill our contracts in full with our clients. We most certainly appreciate our clients business because if wasn’t for you, we wouldn’t be in business.